HEWI wrote design history with the lever handle 111. The portfolio has been developed continuously ever since. Cloakroom products, handrails, railings and sanitary accessories as well as accessibility products were created following the principle: one part matches the other. Today the hardware System 111 and the sanitary Range 477/801 are still among the most frequently used products in public buildings. 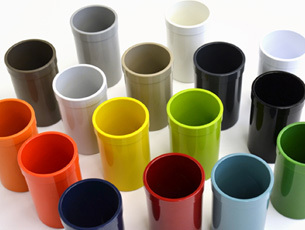 The colour concept is not only a contemporary development, but also opens up new design options. There will be six new colours. The colour concept has 16 colours in total. These are coordinated, so that they can be used together harmoniously. In addition, the multi-system concept creates even more combination possibilities. 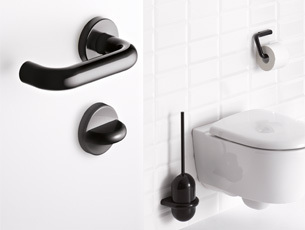 For example, the sanitary ranges, accessibility products and selected hardware can be combined with each other.